Braham Architects, in collaboration with Agent Interior Design, were engaged to design the venue for Shenton Park's newest unique addition: a French X Japanese inspired bread and pastry bakery in the heart of Onslow Road. Their creations are to be baked with house-brewed yeast cultivated from raisins, and presented in bespoke, crafted display cabinets. Visual cues have been taken from traditional Japanese craftsmanship, with an emphasis on intelligent use of engaging materials and a strong attention to detail. 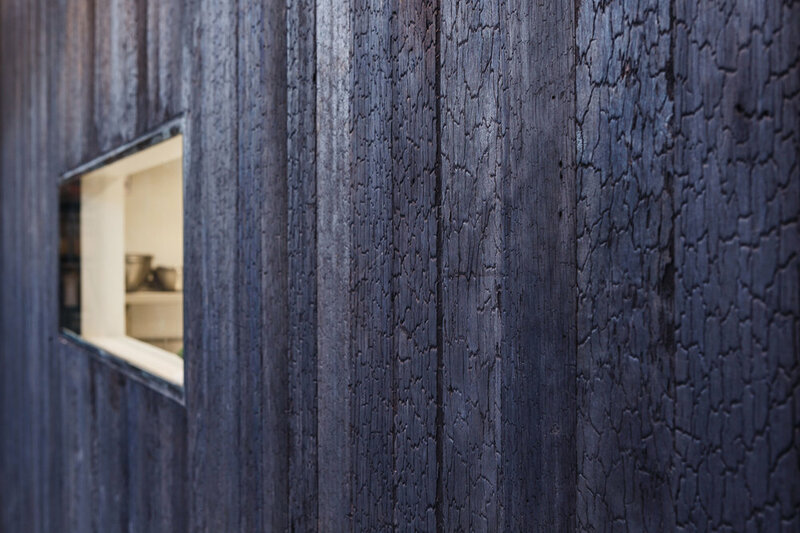 Charred timber, inspired by the traditional Japanese method of Shou Sugi Ban, accentuates a central baking and service area, with extensive viewing windows to give the public a glimpse of the baking process. Raisin' Bakery is due to open shortly, and judging by the response to the invite-only private opening, it will prove to be a successful, unique offering for Shenton Park. Braham Architects wishes the staff at Raisin' Bakery all the best for the future.